In terms of its cap colour, Rhodocollybia butyracea (syn. Collybia butyracea), now commonly known as the Butter Cap but until recently more often referred to as the Greasy Toughshank, is a very variable fungus. It occurs in all types of woodland, often in groups or fairy rings. Some authorities recognise two varieties of this mushroom depending on the colour. The dark-grey centred var. asema is illustrated in the main picture, left, and var. butyracea is shown below. Very common and widespread across Britain and Ireland as well as throughout mainland Europe, the Butter Cap is also found in the USA, where it is sometimes referred to as the Buttery Collybia, and in many other parts of the world. 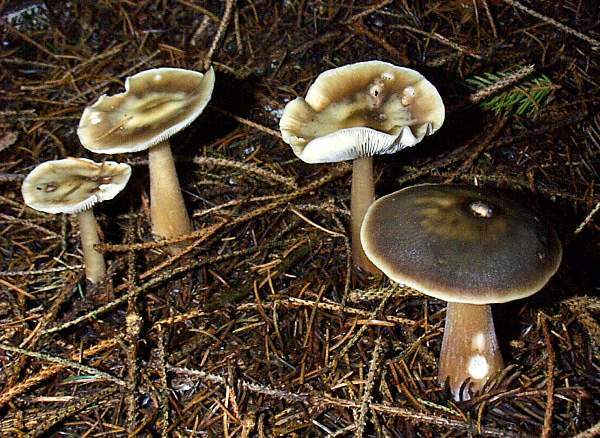 Sometimes found in deciduous woodland, Rhodocollybia butyraceae is mainly associated with coniferous forests on acid soils, where it grows in large numbers beneath even the darkest of canopies. When Jean Baptiste Francois Pierre Bulliard described this species in 1792 he gave it the scientific name Agaricus butyraceus. (In the early days of fungal taxonomy most gilled mushrooms were placed in the genus Agaricus, which was later broken up into the many other genera that we use today.) The Butter Cap was transferred to the genus Rhodocollybia in 1979 by American mycologist J W Lennox, since when its preferred scientific name has been Rhodocollybia butyracea; however, many field guides continued to list it as Collybia butyracea until quite recently. Synonyms of Rhodocollybia butyracea include Agaricus butyraceus Bull., Agaricus leiopus Pers., Agaricus asemus (Fr.) Fr., Collybia butyracea (Bull.) P. Kumm., Collybia butyracea var. butyracea (Bull.) P. 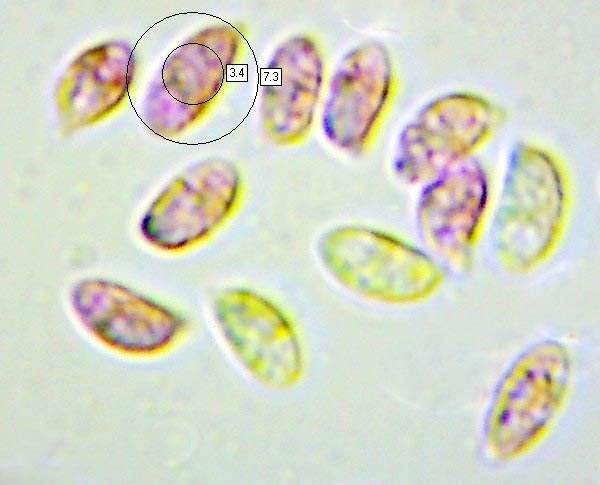 Kumm., Collybia asema (Fr.) Gillet, and Collybia butyracea var. asema (Fr.) Quél. The pinkish tinge to the gills provides a clue to the genus name Rhodocollybia, as the prefix Rhod- means pink (as in Rhododendron). 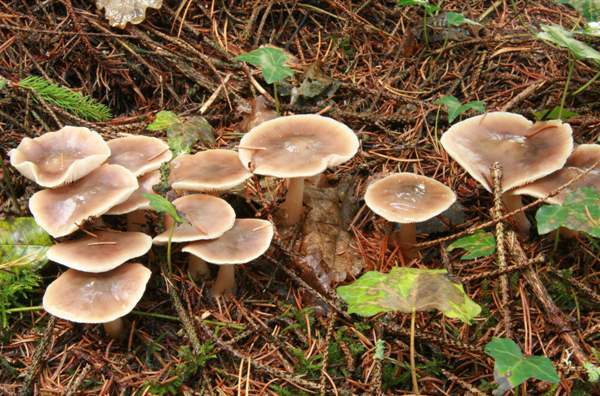 The second part of the generic name -collybia is also Latin and means a small coin. The nickname Pink Penny comes to mind, therefore, although as I just made it up it is perhaps now best forgotten. As you might expect, the specific epithet butyracea simply means buttery. There are many forms of this species, and cap colour in particular is a poor guide to identification. All Butter Caps tend to become much paler when dry. The crowded adnexed or sometimes free gills are white or very pale cream. Towards the end of the season, the cap cuticles of mature specimens appear to contract slightly so that the gills flare upwards at the edge. 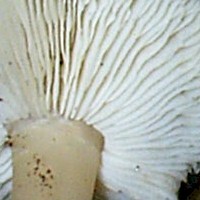 Of the same general colour range as the cap, but paler at the top and often covered in fine white hairs near the base, the stem of Rhodocollybia butyracea tapers in noticeably towards the apex. 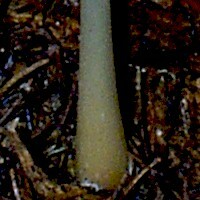 At the base of the stem, which is often bent where it enters the soil, there is a spongy bulb. The stem is very tough and not easily separable from the cap. 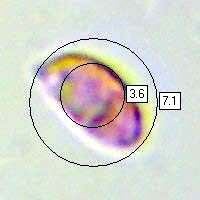 Ellipsoidal, smooth, 6-10.5 x 3.5-5µm. 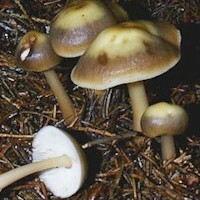 Saprobic on conifer needles and leaf litter, Butter Caps are found mainly under conifers but occasionally also in deciduous woodland. June to December in Britain and Ireland. Rhodocollybia prolixa (syn. Collybia distorta) is a much less common mushroom of conifer forests; it has a dry, red-brown cap and a swollen base below a fibrous and often slightly twisted stem. 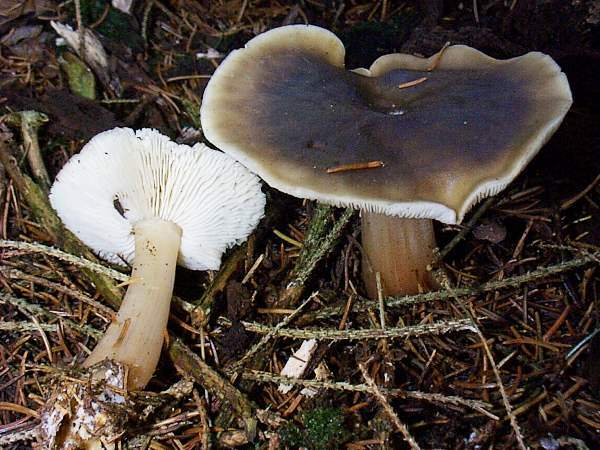 Rhodocollybia maculata (the type species of this genus) is usually paler and has brown-spotted gills. 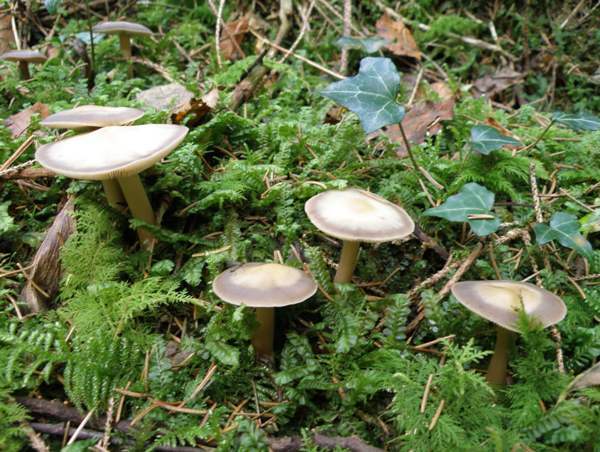 The common name Butter Cap is much more to do with the greasy texture of these common woodland mushrooms, which while generally considered edible are far from buttery in flavour. The stems are tough but some people find the caps acceptable; however, there are plenty of much finer fungi if you want to gather free food from the forest.